Finally, it’s time. You’re ready to buy a new home. Of course, buying a new home can be quite stressful because there is a lot that needs to be done; the stress is magnified for those who’re buying a home for the first time. Here we will discuss the steps that you need to take on finding a home for sale in Ocala FL for first time home buyers, to getting the right finance. Don’t worry, we’ve you covered. Our team has over 30 years of experience working in the Florida Area. We’ll not only help you by providing the answers you need, we’ll stand by your side even after you’ve made the purchase. So let’s get down to it. Here’s a Ocala FL First Time Home Buyer Guide outlining everything you need to know when you’re buying a home for the first time in Ocala, FL. Once you’ve decided you’re ready to purchase a home, you need to find a good home. Depending upon your affordability, there are plenty of options you can choose from. Evaluate listings online, there are plenty of listings in the Ocala Bay area available on our website. You can also talk to us anytime, we can help you evaluate your options and visit the homes that match your criteria. Moreover you can also talk to your friends, they may help you find a good place in their surrounding neighborhoods as well. Take your time to research the home you’re looking for. Don’t invest in anything but the best. Time invested now is really going to help you save a lot of money in the future. Since you’re buying a home for the first time, you’ve a wide variety of options available to you in terms of securing finances such as federally backed loans, bank loans etc. Florida has its own programs for first time home buyers as well. 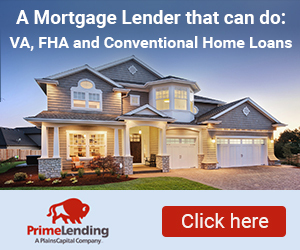 These programs allow you to receive many benefits such down payment assistance for first time home buyers, that offer grants between $5000 to $15000 and even 0% interest rates 2nd Mortgage loan to purchase a home. Remember, the interest rate on your mortgage will have a significant impact on the price of your home so research well. It’ll help you secure a much better price. If you’re looking for more detail, you can study the mortgage payment structure here. Once you’ve found the place that you like, and you’ve secured your finances, it’s time to make an offer. Here your agent, the Fred Franks Team, can help you determine the best offer for the house by taking all the factors into account such as commute distance, amenities in the area, the neighborhood, and other such elements. We will then present the offer to the seller’s agent. The seller’s agent may accept the offer or he may issue a counter-offer. The process goes back and forth until both parties agree on a price that is beneficial and suitable to both. Once the agreement is reached, the buyer will then deposit a good faith fund and the process transitions into escrow. During Escrow, a short period of time usually 25-30 days, the seller takes the house off the market in an expectation that you’re going to buy the house provided you don’t find any serious flaws in the house during inspection. Once both parties have agreed on an offer, it’s now time to move on to home inspection. This is a crucial step to ensure that you’re buying what you have paid for. Even if the house looks flawless, don’t miss out on home inspection. There’s no substitute for a trained professional inspecting your potential house to ensure everything is okay. He may be able to find issues that the seller did not disclose. If that happens, you can retract your offer and the seller has to return your good faith deposit money. If you still want the house, you can also either lower the offer to compensate for the repair costs or you can have the seller repair the house before you make the purchase.